Welcome toKempflon Engineering, Supplier and Distributor of Fibre Products. The company was founded in 2001, at Secunderabad. Good financial position and Streamlined business dealings make us unique in the industry. Highly diligent workforce, Timely delivery schedules and budget friendly prices are the strengths of our organization. We present a rich collection of Insulation Materials, Gasket Sheets and P T F E Products. Insulation Wools, Ropes and Jointing Sheets offered by us are extremely reliable. 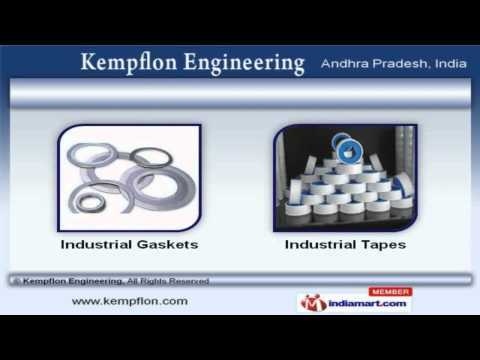 Our Industrial Gaskets and Tapes are a class apart. Along with that we offer Industrial Rods and Clutch Liners that are widely acclaimed in the market. Avail from us, a classic collection of Asbestos Yarns that are best in the industry amongst others. We also provide P T F E Rope for Transportation that are highly efficient.